Creating high-quality footage of your wildest advantures is no longer a dream since GoPro cameras allows you to shot video in 4K resolution to record your life. Unlike traditional camcoders, GoPro is a small active camera which captures the extremely videos when you are doing outdoor exercises. Postproduction and uploading to social network will be a big project. Some of you may choose iMovie as your smart assistant, it is easy to use. The following article will show you how to prepare GoPro Hero 4K video for editing in iMovie. As the 4K videos recorded by GoPro Hero camera was compressed with H.264 codec, which is not designed for editing. You may encounter any unbearable issues such as constant crashing problems, freezing on starup, very sluggish running or file failing to convert in GoPro Studio, etc. Therefore, you should convert the 4K video to iMovie native supported video format – Apple InterMediate Codec(AIC) (*.mov) which is specifically designed for editing and is compatible with iMovie. 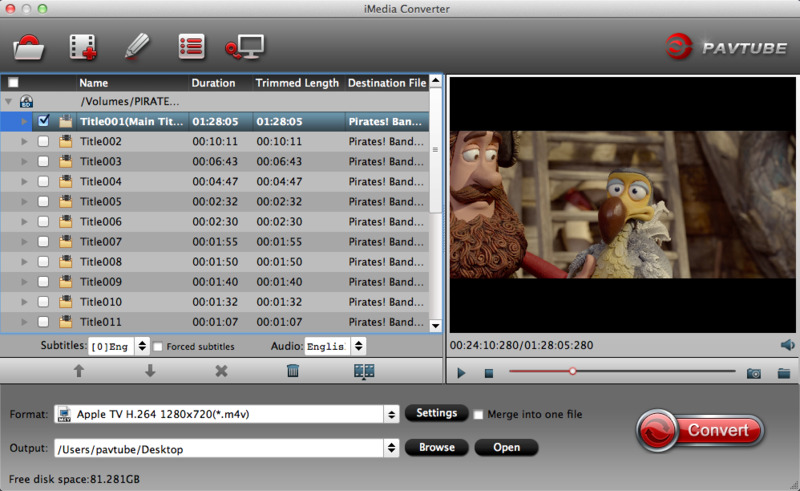 To get this job done, here is Pavtube iMedia Converter for Mac for you, which keeps upgrade with new Mac operating system – MacOS High Sierra. You can easily load GoPro Hero 4K files into this program to convert to iMovie supported file formats such as Apple InterMediate Codec(AIC) (*.mov), MPEG-4, QuickTime mov, MPEG-2, AVCHD, DV& HDV and then do some profile tweakings to output the best editing settings for iMovie. Besides converting GoPro Hero 4K to iMovie, you can use the program to transcode GoPro Hero 4K video for editing with Final Cut Pro, Avid Davinci Resolve or playing on Mac with QuickTime player, streaming to TV or uploading to YouTube, Vimeo or compress GoPro 4K video to 1080p for smartphone and tablets smooth playback. How to Convert GoPro Hero 4K for iMovie Editing on macOS High Sierra? Step 1: Load GoPro Hero 4 4K files into the program. 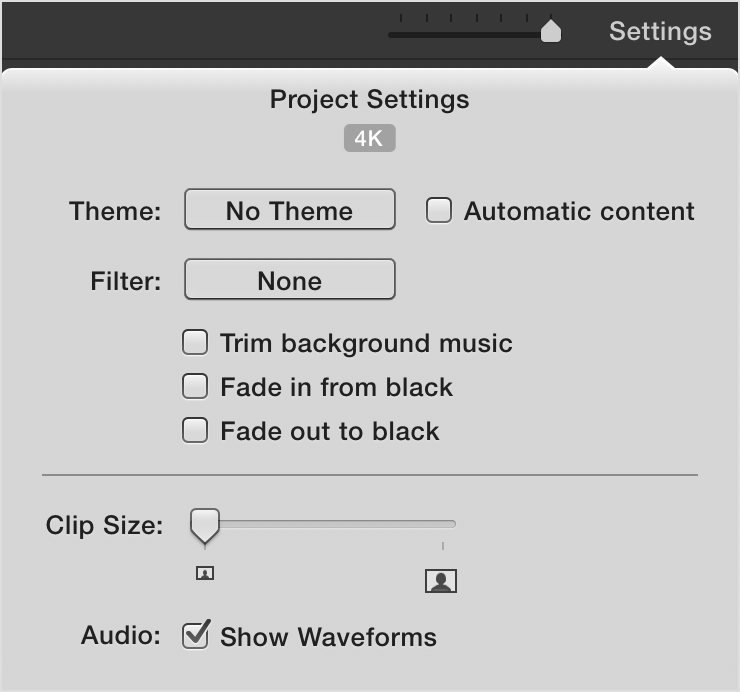 Start the program on your Mac computer, click “File” > “Add Video/Audio” or “Add from folder” to load GoPro Hero 4 4K files into the program from your Mac local drive. 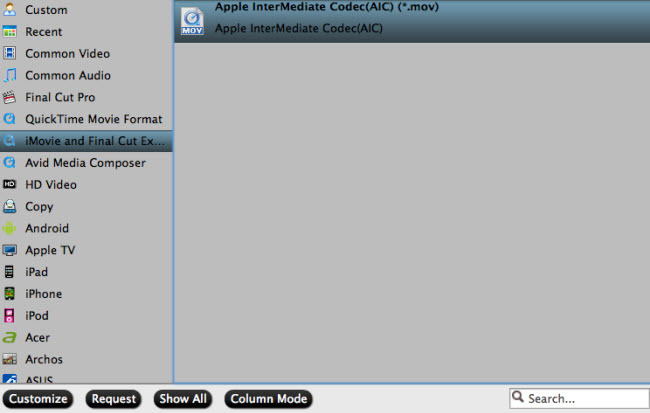 Click “Format” bar, from its drop-down list, select to output one of iMovie supported file formats such as MOV, MP4 or iMovie native editing codecs like Apple Intermediate Codec to ensure the best editing effect when editing with iMovie. Tips: You can flexibly adjust the output profile settings such as video codec, bit rate, frame rate, resolution, audio codec, bit rate, sample rate and channels to get the best editing settings for iMovie. Hit right-bottom convert button to begin the conversion from GoPro Hero 4K to iMovie supported file format conversion process. When the conversion is completed, click the “Open Output Folder” icon on the main interface to pop out the folder with converted files, you will then have no problem to import converted video to iMovie editing. After you’ve recorded 4K video, simply add 4K video clips to your project in iMovie for iOS or iMovie for Mac. You can combine 4K video with other types of video clips and photos in the same project in iMovie. « How to Render HD Video to 4K Video in Adobe Premiere?